We kicked off the year right with a trip around Manhattan island on New Years Day. Similar to the tradition that says the person you kiss at the stroke of midnight on New Years is the person you will kiss all year – the Isle of Manhattan ride set the tone for the remainder of 2011. It’s February. What better way to celebrate the winter than with a timed road ride? I know. 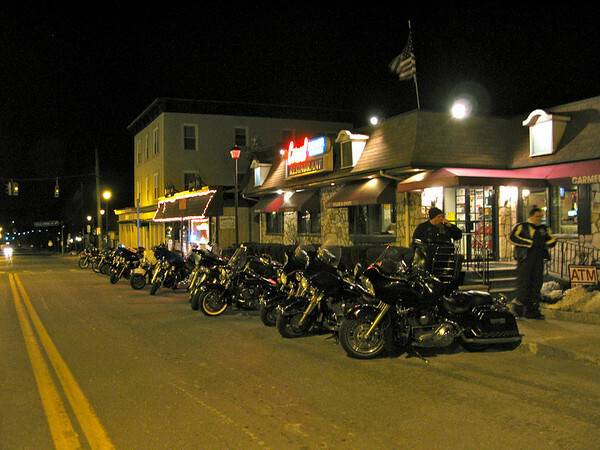 A timed road ride, that kicks off at Midnight. By the time March rolls around, you’re wishing for spring in the worst way. You’ll look for any excuse to get out and spend some time on the bike. 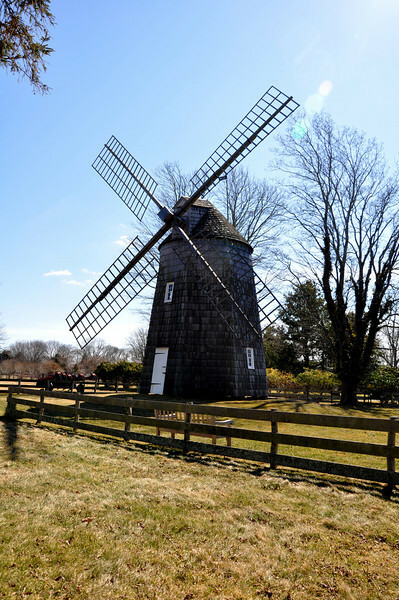 I decided that taking a ride around the east end of Long Island to visit it’s windmills would be a perfect way to court the warm weather. It didn’t work. It was freezing. April brought us the big milestone of Chloe getting her first motorcycle. Someday, she’ll look back and say “I learned to ride when I was a kid…” and this will be what she remembers about getting her first motorcycle. The Berkshires Big Adventure. Yeeeehaa! 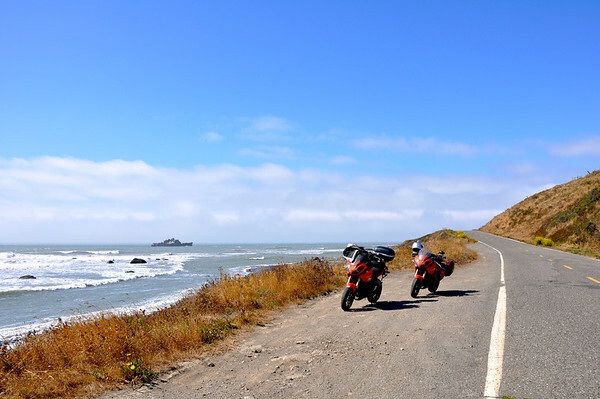 Throughout all of 2011 there are a few standout riding moments that really left a mark on me. Once of them was being in the warm, golden light of the late afternoon on the Blue Ridge Parkway with my dear friend, Bill. When you have a stretch of the Blue Ride all to yourself… it is quite magical. Dare I say, perfect. July had a few days that were positively SIZZLING. Luckily for us (not) one of the hottest days of the year was the day of the AltRider/Giantloop dual sport adventure ride in Pennsylvania. Kenny, GL and I spent the day having a blast on the rocks. And I got a chance to meet a couple really nice people, like John from New York, Harold from Giant Loop and Eric from RideAdv.com. Meeting other bloggers who are out on the road is a cool experience. 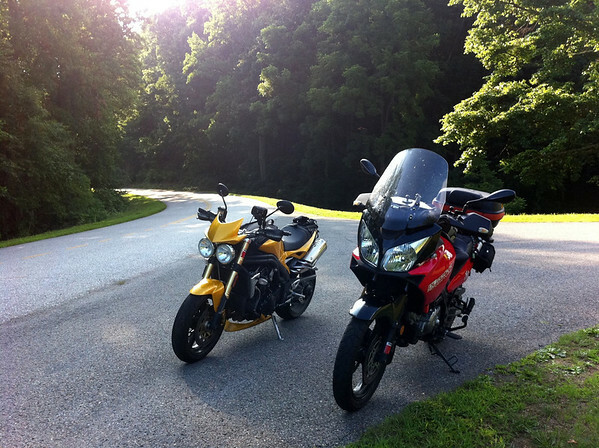 In August, I hooked up with Chris from EverydayRiding.org while he was on a tour of the Northeast. You never know what you’re going to get when you meet someone you think you “know” from their writing. As it turns out… Chris is a great guy. I felt like I knew him forever. On my way back down to the ferry to head home, I also got to meet John from John’s Alaska. Bonus! In September, Kenny and I took our yearly “big trip”. We found ourselves back out in California bumming around. The trip… was heavenly. 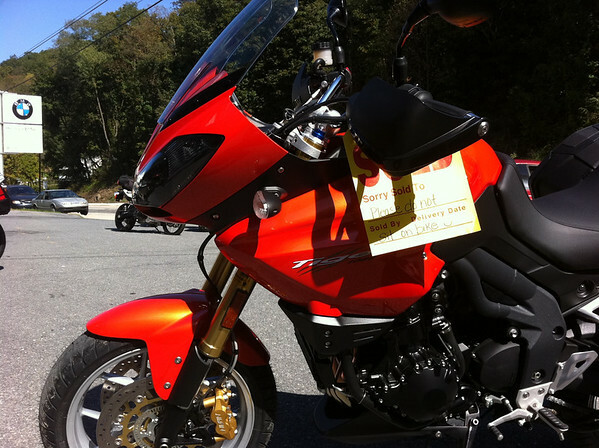 In October, I found myself the proud new owner of a new motorcycle that I didn’t know that I needed until I got it! 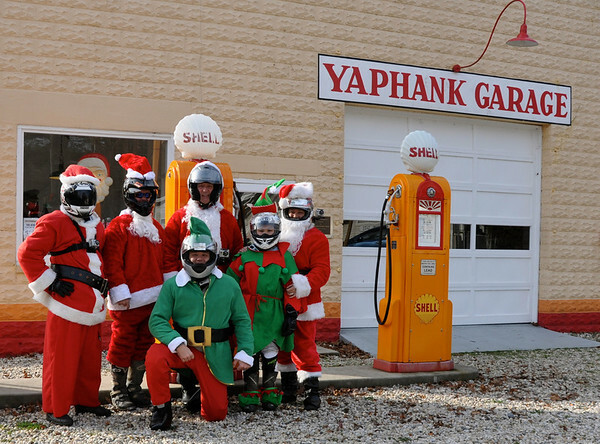 In December my friends and I donned our big red suits and hit the road. It was absolutely one of my favorite rides of the year. Making someone else happy is the best gift you can give yourself. 2011 was filled with lots of laughter, many happy miles and a few adventures along the way. I hope that you find the same to be true. Wishing you all the best in the new year. It was a good year. Thanks for sharing with us! I hope 2012 is equally as good or better! Fantastic! You are the Coolest. Mom. Ever! Chloe is very lucky! You had a great year. Sharing it with us shows your generous spirit and was a delight for your readers. I enjoyed reading your blog immensely this year. Best wishes for the New Year! Thanks for coming along for the ride and for the continuous support and encouragement. I’m proud to call you my friend <3 Wishing you all the love in the world in 2012. Your year sounds like it was wonderful! Motorcycling truly is a wonderful thing, I feel engaged in my world and look forward to the day when my daughter joins me for a jaunt. Happy New Year and I wish you many wonderful miles on your 2 wheeled love and that you have a healthy and wonderful 2012. It definitely was wonderful, Dar. Wishing you the best year ever in 2012! It was awesome to meet you as well! I had a fabulous time. Happy 2012! 2011 was one heck of a year wasn’t it?! 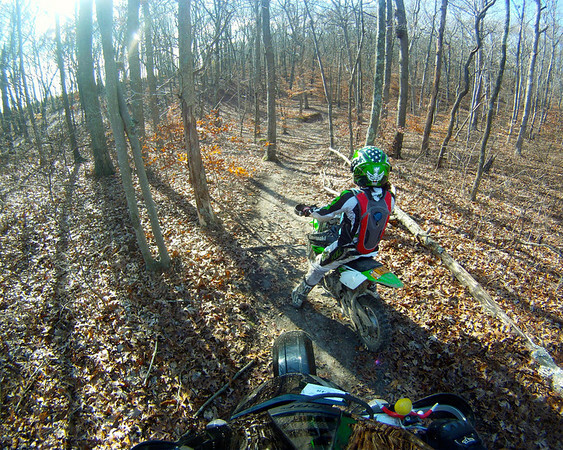 You got a ton of awesome riding in! I’m glad I could be a part of some of these adventures too! And I can not wait to see what 2012 brings! We had some fun, huh? Happy New Year to you and your family Fuzzy. All the best wishes to you for a happy and healthy 2012. Happy New Year. Enjoy the nice weather while it lasts. Rub it in, rub it in! Sooooooooooooo jealous! What a great year for you… and Chloe. 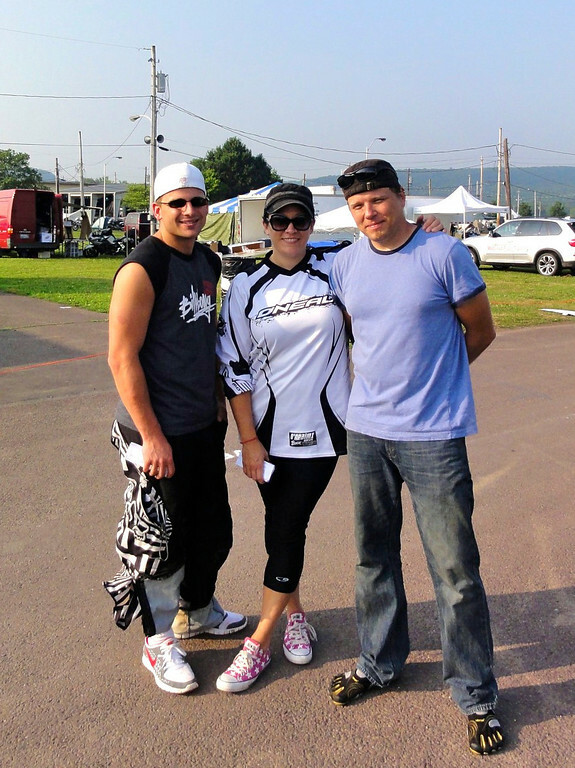 The family that bikes together, stays together! Hear, hear! Happy New Year, Jason. All the best to you, Fuzzy. 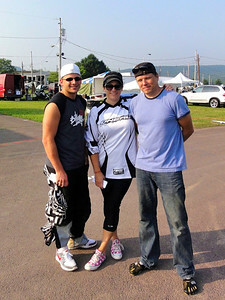 Thanks for pluggin’ RIDE Adventures again, and I hope our paths cross at BMW MOA in Missouri or another event in 2012.